You wake up or come home to a freezing cold house. 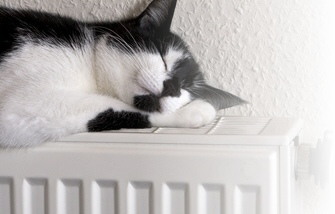 That normally means one thing, your central heating system has broken down and you may have no hot water. WHAT DO YOU DO? WHO DO YOU PHONE? WHAT WILL IT COST? If you have a DHC Services Service Contract, you would simply phone the breakdown line and one of our fully trained and qualified engineers would call that day to make the repairs, and you would pay nothing. 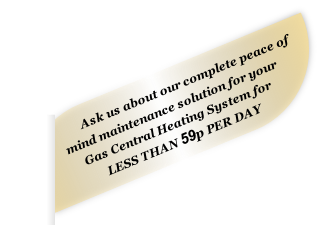 Boiler, Pump, Radiators, Time Clock, Cylinder Thermostat, Motorised Valves, Exposed Pipework, Hot Water Cylinder, Cold Water Tank, Feed and Expansion Tank, Exposed Gas Supply, Gas Fire (service only), TRVs, Radiator Valves, Room Thermostat. Anything to do with your central heating and hot water system. All this for £18.00 per month, unbeatable! DHC Services fully service your boiler and gas fire, check and test the complete system to ensure that it is safe and in good working order. The first service is carried out at the start of the plan and yearly thereafter. How Safe are the Gas Appliances in Your Home? Have you had them checked in the last year? Some 20 people die of carbon monoxide poisoning every year and many more become ill (source: Health & Safety Executive). You are at risk if your appliances have not been properly installed, serviced or maintained regularly. DHC Services’ annual service and high maintenance standards eliminates all this worry. ● Emergency breakdowns attended same day, 365 days a year. ● All services and breakdowns attended by one of our GAS SAFE (formerly CORGI) registered engineers, no sub-contractors. How Can We Offer So Much More? ● By servicing to a very high standard we can reduce the risk of breakdown. ● We are able to bulk purchase parts which keeps our overheads low. ● Locally-based engineers keep our fuel costs low. Yes, with one month’s notice. Firstly we carry out a brief survey of your system to see if it is acceptable. If it is, we complete the booking form and our office contacts you to book your service (normally carried out within two weeks). A £25 administration charge (payable first year only) plus £18 for your first month’s premium, and a Standing Order Mandate for future payments is completed.